Union College received a A.
Washington Monthly's ranking of 69 out of 224 of Affordable Elite Colleges - Overall Rank was a major contributor to this grade. Union College provides rigorous liberal arts, science and engineering programs that cater to the individual paths of over 2000 undergraduate students. 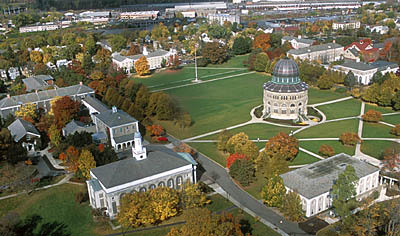 The campus, which is located about three hours from New York City in Schenectady, is the nation's first to be architecturally designed. Entertainment ranges from the Adventurers gaming club, to an annual beach volleyball tournament. What is a typical Union College student like? Describe the type of person that should attend Union College. What are the top 3 reasons someone should attend Union College? What was a typical Union College student like in high school? Describe the type of person that should attend Union College. Union College is so named thanks to its emphasis on the union of the sciences and humanities. Union College provides its students with an experience different from any other liberal arts college. Craft your application package carefully here. The trimester system at Union College sets it apart from other small liberal arts schools. At Union, you'll find a vibrant community of learners and scholars, of leaders and change agents—people whose ambition, energy and desire to make things happen are contagious. The intellectual and creative spark can be felt in our academic buildings, Minerva Houses, labs, library, studios and recital rooms—anywhere you go on our historic campus. We have a long tradition of innovation and of educating creative problem-solvers, a tradition which continues to flourish and to define who we are today. What are the top 3 things that students do for fun at Union College? 38% of male students live in fraternities. The average student pays $34,828 for tuition, fees, and other expenses, after grants and scholarships. Total stated tuition is $46,314, in-state and on-campus, before financial aid. Learn more about financial aid at http://www.union.edu/finaid. Estimate the net price for you at http://npc.collegeboard.org/student/app/union. The typical (median) early career salary of Union College graduates is $49,000, according to Payscale. Union College participates in the NCAA Division III for college athletics. Want more info about Union College? Get free advice from education experts and Noodle community members. Yes, they should be allowed for comfort and companionship. How is the premedical program? What was your experience like at Union College?